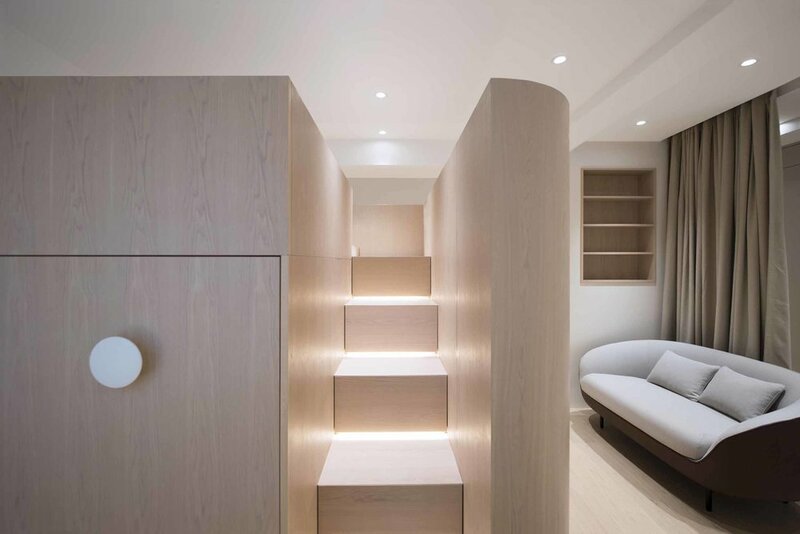 For this project, Bean Buro worked on a full refurbishment of a 2,500sqft (230 sqm) residential apartment at Piccadilly Mansion apartments, located in the western part of Mid-Levels, for a family of four - two parents and two children. In addition to accommodating a comfortable living and dining areas with stunning views on Hong Kong’s tranquil nature scenes, the apartment would have a master bedroom suite, a bedroom for the youngest daughter still living at home and a bedroom for their eldest son who is currently studying architecture in the UK. 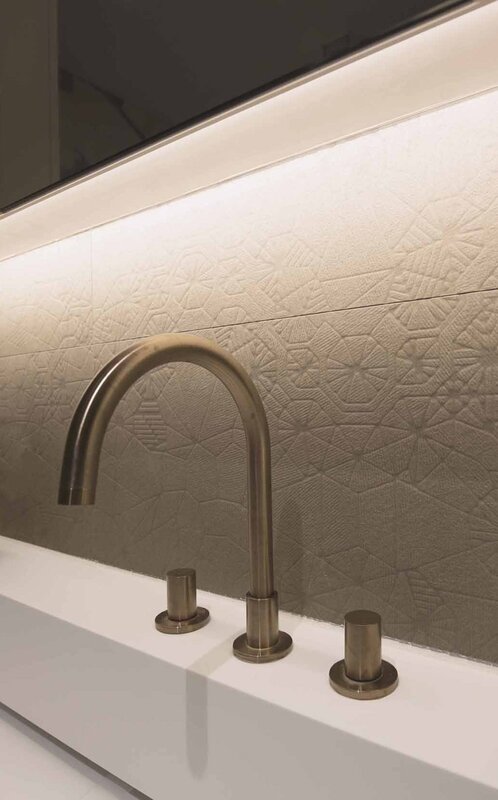 The layout and design were inspired by the surrounding vistas, as the soft curves of Hong Kong’s mountains are translated into the interior architectural language. 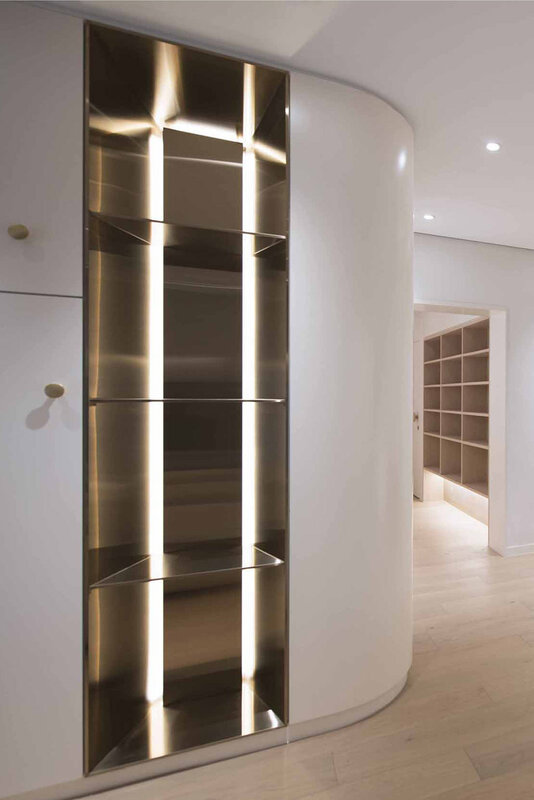 The space is also carefully curated with special niches, shelves and wall hanging space to allocate for the family’s belongings, may it be for the father’s precious Chinese antiques or the children’s nanoblock collection. Upon entering the space, guests are welcomed in a warm and cosy atmosphere as the foyer is fully lined in authentic brown leather. This entrance is highly contrasted with the bright, open living and dining space that lies ahead, which are bathed in natural light. A curvy volume used to conceal storage and a secret walk-in closet is followed by a terrazzo ‘river’ that guides the flow from the living room, to the dining area, all the way down to the enclosed kitchen, still visible behind a sliding glass partition. Each room is carefully curated depending on the family member’s needs and preferences. 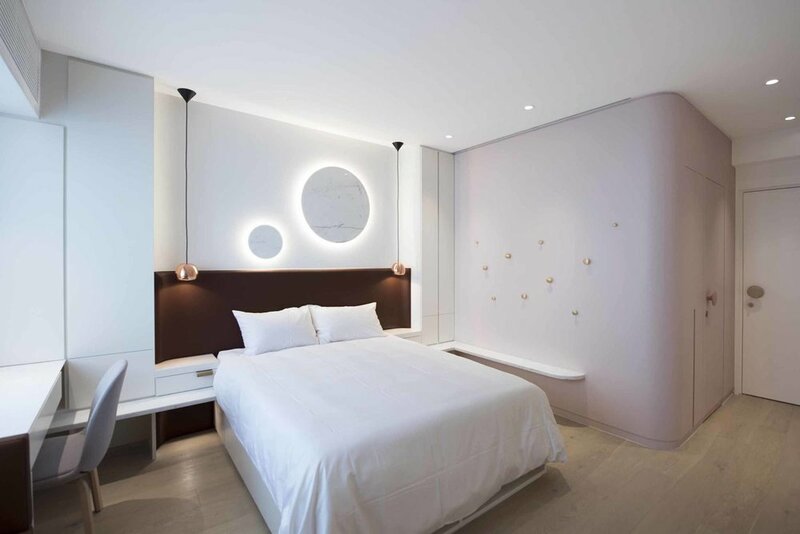 As the daughter’s room was designed with elegance and femininity in mind, the son’s room was inspired by smart and compact living ideas often discussed in the field of architecture. Marble shelves and two large marble spheres backed with LEDs are fixed over the bed, giving a touch of luxury to the daughter’s room. The son’s bed takes the form of an elevated platform where both storage and TV station are installed underneath. In addition to this central feature, the room can easily transform into an entertainment area with a sofa or a study room.